Everything is better when it's done in the mini version, right? Then why not pie? For our amazingly fun book club for The Devil in the White City, we decided to play off of the idea of the World's Fair in Chicago in 1893. 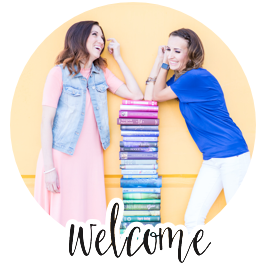 That meant we had to have our very own BOOK CLUB FAIR! 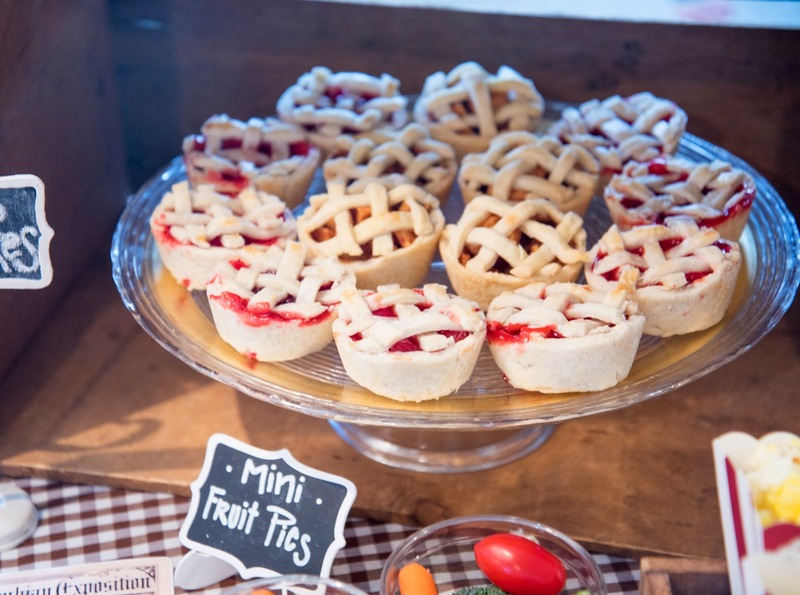 And what's a fair without some homemade pie?! Directions: Stir the flour and salt in a large bowl. Cut in the shortening and butter with a pastry blender or two knives until the mixutre resembles course crumbs. Sprinkle with ice water, a tablespoon at a time, and stir with a fork to moisten all the dough. Gather into a ball with your hands. Roll out on a lightly floured surface. Use a large cup or small bowl to cut smaller circles about 4" in diameter. Use your muffin tin as a guide. 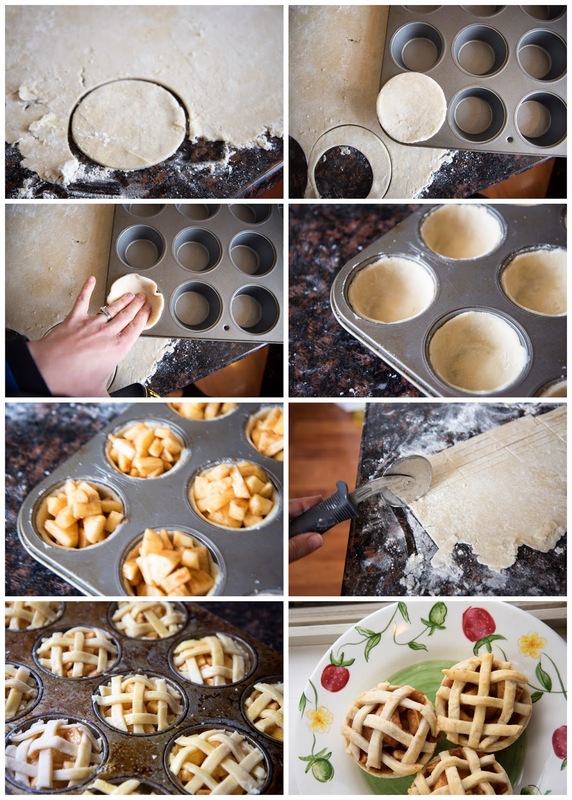 You want the bottom crust to fill the bottom and almost all the way up the sides of each muffin hole. Save the scraps to reroll for more mini pies circles. 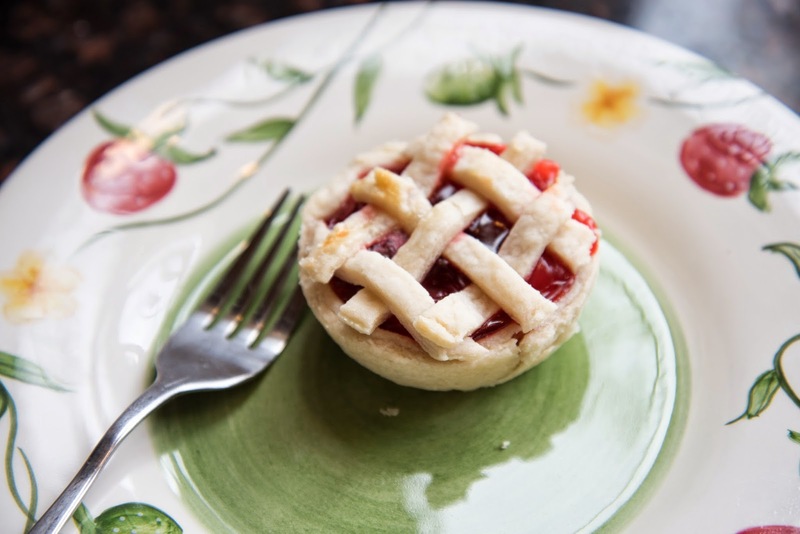 Save those scraps for the lattice top. Spoon in enough pie filling (any flavor works well, but I like cherry and mixed berry the best). Use the pictures below as a guide. Preheat the oven to 375 degrees. Roll out the crust and cut into thin strips. Weave them through each other to make a lattice top. Brush with a beaten egg and sprinkle with sugar. Bake for 30-40 minutes or until the crust is golden brown. Serve with whipped topping or vanilla ice cream. Directions: Peel and core the apples and cut into tiny pieces in a large bowl. Add the sugar, flour, cinnamon, and allspice and toss with apples. 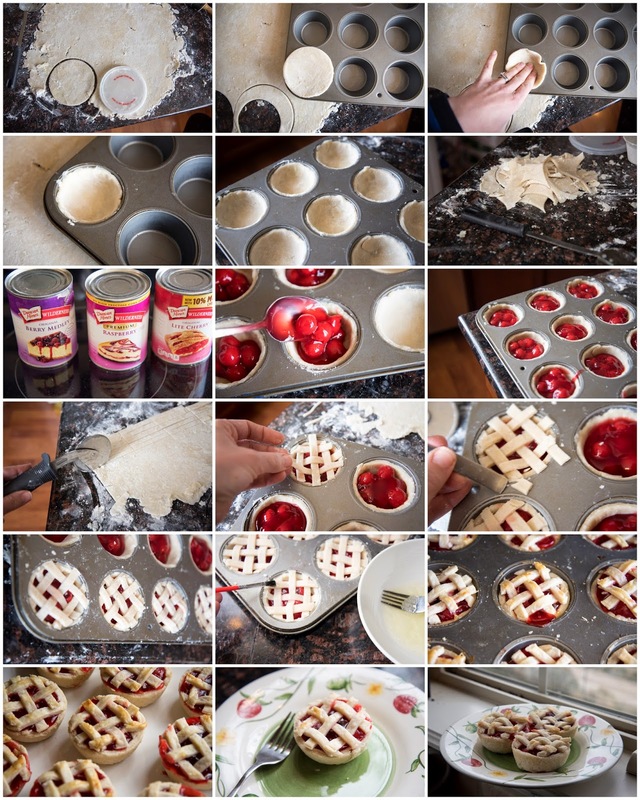 Spoon the filling into the pastry lined muffin tins. Fill slightly higher than the top of the muffin tin. Roll the scraps of crust and use a pizza cutter to cut thin strips for the lattice top. Beat one egg with a fork, brush it over crust, and sprinkle slightly with sugar. Bake for 35-40 minutes or until crust is golden brown and filling is bubbly. I love making at least two different flavors to eat! If you love these, you'll love my no-bake fast and easy mini cheesecakes for your next party too. These are adorable! Bring some to my house pretty please!